A MADELEY father received an extra Fathers Day gift this year from a Joondalup store. 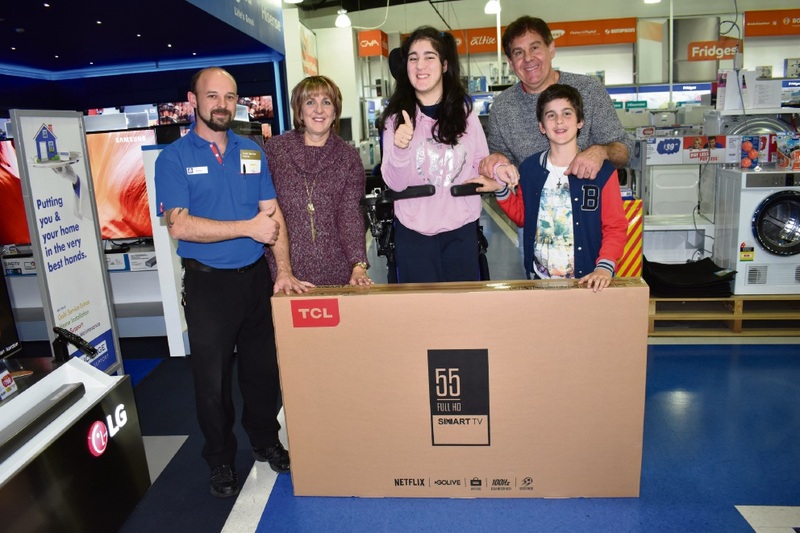 Steve Taseff received an $895 smart TV from the Good Guys Joondalup after being identified through the store’s Local Giving Program partner Perth Children’s Hospital Foundation. Both his children, Tayla (17) and Brandon (12) have cerebral palsy and have made many visits to Princess Margaret Hospital, so he was identified as needing a boost. Steve’s wife, Geraldine said she was overwhelmed by the store’s generosity and support. “What a fantastic Father’s Day surprise for Steve,” she said. Store executive manager Debbie Lanario said the team was proud to support a worthy cause. “It is impossible to over-estimate the importance of being a father,” Ms Lanario said.